← Guess and Win with Pikau the New Zealand Babywearing Week Kiwi!! Hello everyone. We’re on the countdown to New Zealand Babywearing Week (6 – 14 October 2012) and we are looking forward to celebrating with you. We have one more liker giveaway for you this year! The next giveaway will be drawn once we reach 1700 page members over on the New Zealand Babywearing Week facebook page. 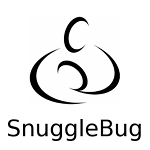 Our 1700 liker giveaway sponsor is Snuggle Bug. One lucky ‘New Zealand Babywearing Week Facebook page’ member will be randomly drawn to win a Snuggle Bug designer wrap, valued at $60.00. (Open to NZ residents only). Snuggle Bug wraps are made in New Zealand from 100% cotton milled here in New Zealand. This Retro Flowers Designer wrap is a limited edition. The Panel is made of non-stretch 100% cotton Material, which provides additional support for your baby while also looking stylish. Like the Snuggle Bug Facebook page. Update your Facebook status with the following: “I’m in to win a Snuggle Bug designer wrap with @New Zealand Babywearing Week and @Snuggle bug. You will need to ‘like’ the New Zealand Babywearing Week and Snuggle Bug Facebook pages for the tags to work and remember to make sure your update is shared as ‘Public’. To do this click the drop down menu to the left of the ‘post’ button in your status update section on your wall and choose ‘Public’. Leave a comment under this post to let us know why you would like to win the Snuggle Bug designer wrap. 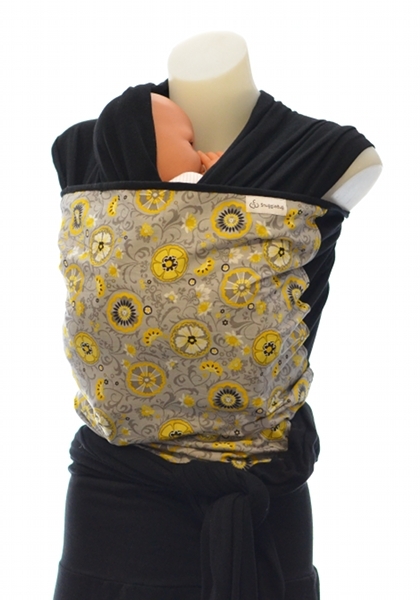 This entry was posted in Giveaways and tagged baby wrap, New Zealand Babywearing Week, NZ Babywearing Week, Snuggle Bug stretchy wrap. Bookmark the permalink. I would like to win one because they look lovely and comfy and I like to have different types of carriers to use and share with others. I would love to win the Snuggle Bug designer wrap because it not only looks great but also super comfy! I am a relative beginner to babywearing and only have a borrowed carrier at the moment, so I would love to have my very own. Thanks for the cool competition – fingers crossed! I would love to win this wrap it would be a stylish comfy upgrade from the one I’ve made out of a sheet! I would love to win one for when I have a #2 bub, and until then would lend it out to the brand new dunedin sling library for others to use and fall in love with! I’d love to win one because it looks so snug and comfy. I would love to win a snuggle bug wrap as my first wrap was bought second hand and is losing it’s stretch. After having just taken off my Manduca, my two year old sat on my knee and tried to hop in the manduca himself and have a ride. We are now wanting a second carrier of some sort. I would love to win one because our baby carrier was lost / stolen, we are relying on a borrowed one until the replacement arrives, and I would love to share the babywearing love with friends. Winning this would make my day, as I have only ever had home-made wraps in the past (And my sweing skills aren’t that good), I am an early childhood teacher so wearing my own baby to work would spread the idea with many other parents and hopefully show how awesome it is to wear your babies! Would love one of these! They look comfy and come in neat designs! and to wear our children is great!! I would love one of these to welcome our new baby. what a beautiful carrier! I’d love to have a Snuggle Bug wrap so I could wear my little bundle of joy arriving at the end of November. The wrap is really stylish and I’ve never used a wrap before so it’d be nice to try it out. I would love to win the Snugglebug. I have a 2 month old baby and a very active toddler so I need my hands free to interact with her and a good carrier to help my aching back!